Established in 1981, The House of Rose has had a magnificent journey of over three decades. It has today, progressed and developed into much more while connecting with the lives and hearts of many. Sheetal Vaidya, the director (sales and retail) at The House of Rose, carries elegantly her title as Rose Brand Ambassador. 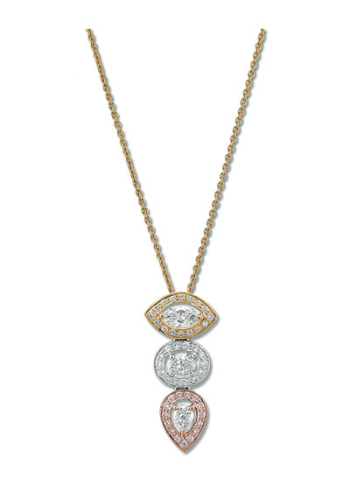 Brilliantly-crafted Forevermark diamonds are set in 18-karat white, pink and yellow gold. Blending into one — the heart, mind and soul — The Commitment Collection, conceptualised and designed by The House of Rose for Forevermark, speaks volumes about elegance and class. Three noticeably varied forms of Forevermark diamonds come together in this collection to symbolise love, strength and devotion. Skilfully concocted by seasoned craftsmen, the collection reflects your love and commitment as an eternal promise. Every twinkling diamond comes with the promise of being not only stunning but also rare and responsibly sourced for your loved ones. A part of the proceeds from every piece sold from The Commitment Collection shall be shared with Swades. The latter aims to reduce poverty by empowering 1 million people in five years.